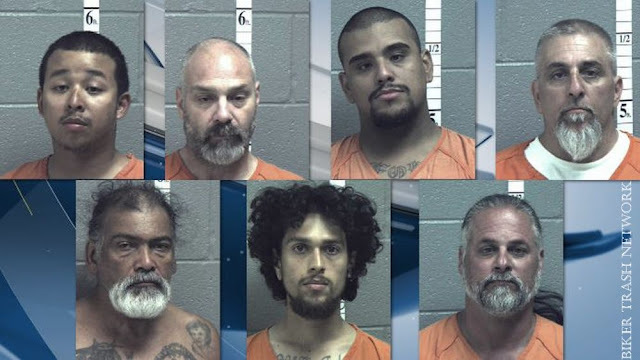 Staunton, Virginia (October 4, 2018) BTN — During the early morning hours of Sept. 10 at the Hometown Inn near Greenville, five men — four of them reportedly members of the Hells Angels Motorcycle Club and the other a prospect — were lying in wait after two members of the rival Pagan's Motorcycle Club were spotted across the street at the Pilot Travel Center. Roughly 90 minutes later, as the two Pagan's pulled into the motel parking lot on their motorcycles, an ambush was unleashed, based on video evidence shown Thursday in Augusta County Circuit Court. One of the Pagan's was shot, the other knocked off his motorcycle and beaten with a hammer. 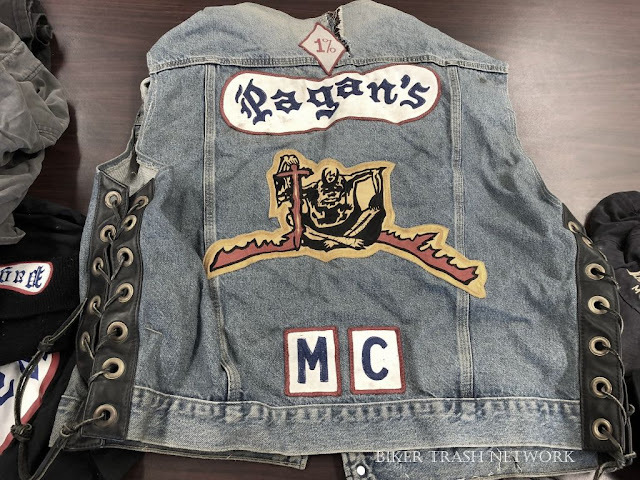 Prior to the shooting, which took place shortly before 3 a.m., after the two Pagan's were seen at the travel center, one of the motorcycle gang members rousted four others from their rooms at the motel. After the men took off their Hells Angels gear and changed into different clothing, one of the Hells Angels kept close tabs on the Pagan's across the street with binoculars. Another was seen holding an iPad in their direction as he presumably filmed them, motel surveillance video showed. Three other Hells Angels were nearby. An hour and a half later, the Pagan's went to the Hometown Inn. The clerk, unaware there were now rival club members at the motel, gave them a room next to one of three rooms rented by the Hells Angels, according to evidence. As the Pagan's pulled up to their room, one following the other, the second rider was knocked off his motorcycle as it was still moving. The rider in front wiped out as he attempted to escape the ambush, skidding his bike to the ground. As he ran, two Hells Angels opened fire on him, video showed. An investigator said four to five gunshots were fired. The beating victim was not seriously injured. 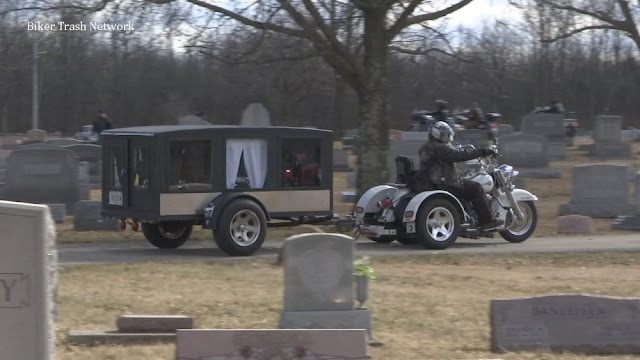 Both victims were members of the Pagan's Motorcycle Club out of southern Virginia, the sheriff's office said. Seven suspects were arrested at the scene. Two guns and a shell casing were recovered at the motel by investigators. Following the shooting, Augusta County Sheriff Donald Smith said both groups were passing through the area following an unidentified convention. One of two men accused of opening fire is Anthony Milan, 28, of East Elmhurst, New York. Milan is a prospective member of the Hells Angels in New York City, according to evidence. He appeared in Augusta County Circuit Court on Thursday in an attempt to get a bond set. Dominick J. Eadicicco, 48, of Staten Island, New York, is also suspected of opening fire, evidence showed. 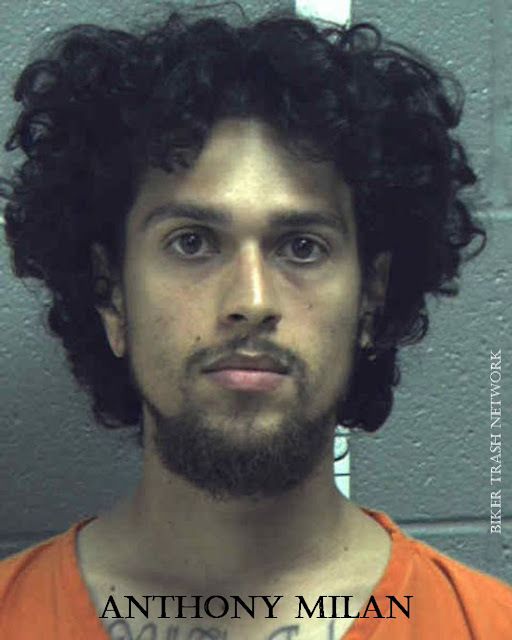 Milan, Eadiciccio and three others are charged with two counts of malicious wounding by a mob, along with single counts of conspiracy to maliciously wound, gang participation in a criminal act and use of a firearm in the commission of a felony. In court Thursday, Milan, who has no prior felonies, was denied bond. Two other Hells Angels were not charged in the attack but face drug and gun charges. All seven suspects remain behind bars.